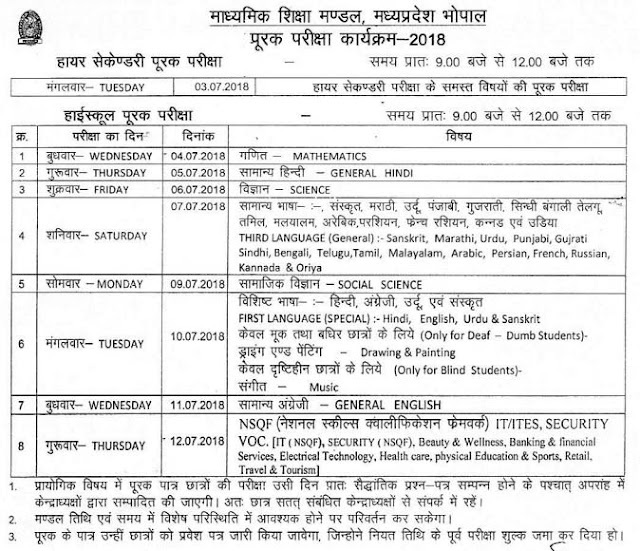 Board of Secondary Education, Madhya Pradesh State MPBSE conducting 10th Class/X/SSC examinations from from 5th March 2018 to 31st March 2018. The First examinations starts with Third Language Paper on 5th March 2018 and end with Hindi Paper on 31st March 2018 and Results was announced on 14th May 2018. Failed candidates in Main examination in March 2018 are to be eligible to write Supplementary Examinations in July 2018. 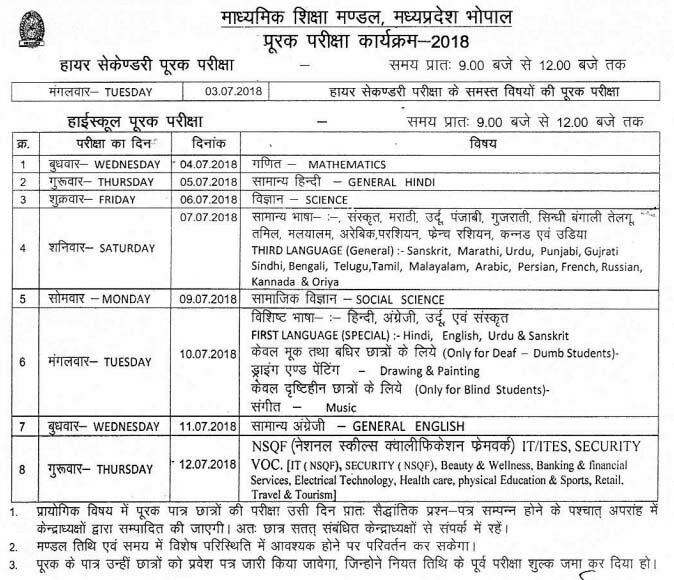 MP Board conducting 10th Class Supplementary examinations from 4th July 2018 to 12th July 2018.